Royal Panda players who like high-limit roulette will be pleased with the new tables that allow extra high wagers. We are talking about VIP roulette tables with a maximum bet of €75,000, which are a real treat for high-rollers. 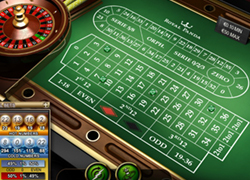 Almost needless to say that the high-limit tables add an entertaining twist to Royal Panda’s online roulette offering. Regardless if you are a high-roller or if you prefer roulette with lower bets, Royal Panda is the place to be.